Sanura Kassim was severely rebuked after she battered and chased Hamisa Mobetto from Madale home in Dar es Salaam. Diamond’s mom however insists that no mother will allow their sons to make a bad decision. 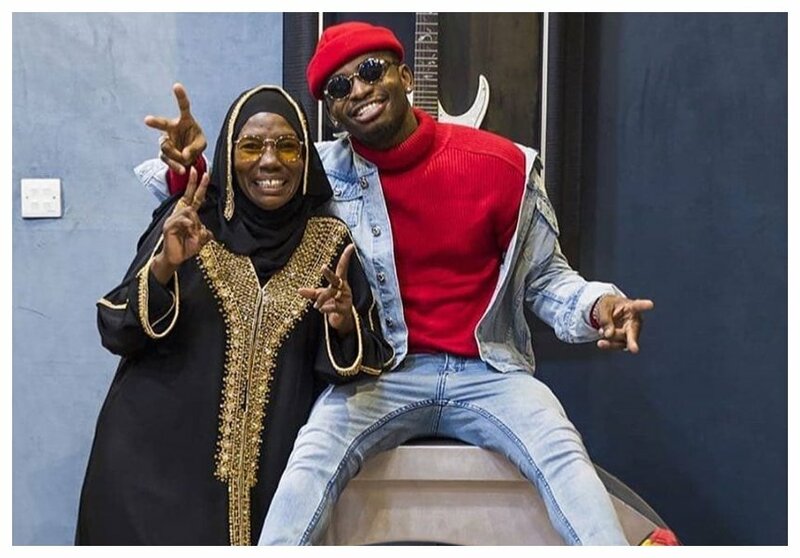 Sanura was thrilled when Diamond dropped ‘Iyena’ – the music video that shows the wedding between Diamond and Zari Hassan. 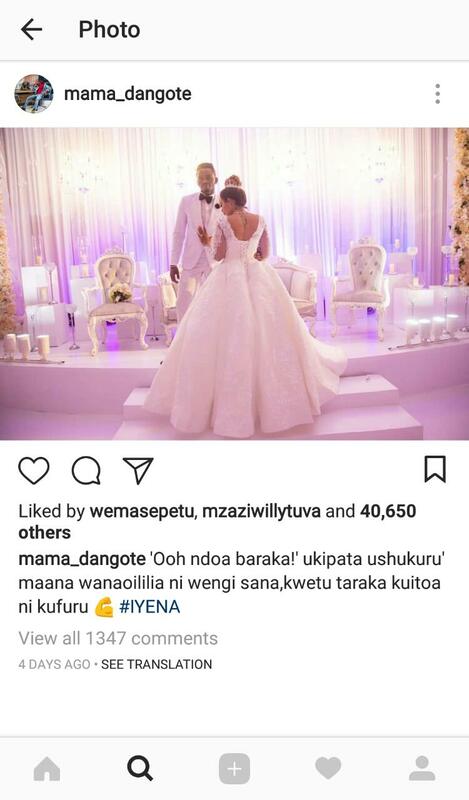 She shared several photos of Diamond and Zari’s fake wedding on social media while expressing her desire to see the two exchange vows in real wedding. 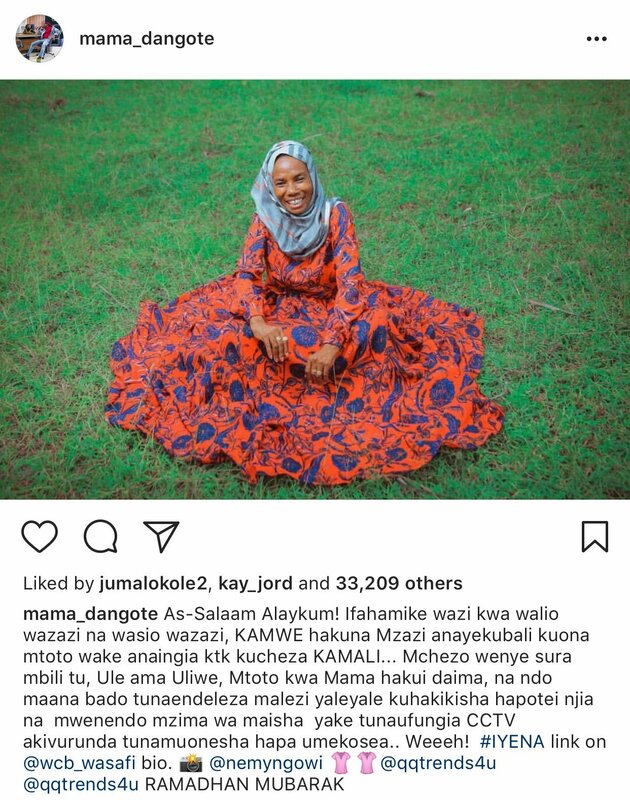 In a separate post on Instagram, Sanura vows not to let any woman (in reference to Hamisa Mobetto) mislead her son. She explains that as a parent she couldn’t seat back and watch her son make a terrible decision. “As-Salaam Alaykum! Ifahamike wazi kwa walio wazazi na wasio wazazi, KAMWE hakuna Mzazi anayekubali kuona mtoto wake anaingia ktk kucheza KAMALI… Mchezo wenye sura mbili tu, Ule ama Uliwe, Mtoto kwa Mama hakui daima, na ndo maana bado tunaendeleza malezi yaleyale kuhakikisha hapotei njia na mwenendo mzima wa maisha yake tunaufungia CCTV akivurunda tunamuonesha hapa umekosea.. Weeeh! #IYENA link on @wcb_wasafi bio. @nemyngowi @qqtrends4u @qqtrends4u RAMADHAN MUBARAK,” wrote Sanura.